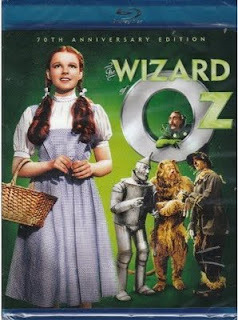 Movie Treasures By Brenda: Have You Seen Wizard of Oz The Movie on Blu-ray? Wizard of Oz, the Movie is one that I have not seen yet on blu-ray but definitely want to! I was totally amazed yesterday when I discovered the Wizard of Oz 70th Anniversary Ultimate Collector's Edition. This set is a 4 disc blu-ray Limited and Numbered edition available exclusively on Amazon. 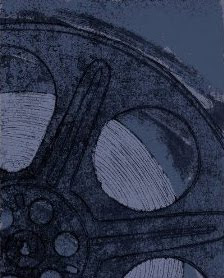 It features 16 hours of enhanced content with four of them being totally brand new PLUS a history book of the production, a watch, a copy of the original film's budget and a campaign book. The six-hour MGM documentary sounds amazing. The poster cards I could do without. (Or sell on eBay.) With that one exception, the rest of the package sounds pretty amazing, especially for someone who grew up watching the movie every year. In addition to the fact that it is a fantastic package, you can ad the fact that right now Amazon has it marked down from the list price of $84.99 to $56.99 which means you save $28, enough to buy another blu-ray disc or maybe even the Wicked Witch of the East Christmas stocking. After I discovered this fantastic movie package yesterday, I created a page called, A Blu-ray Wizard of Oz the Movie Gift Set on which I presented the amazing and beautiful 70th anniversary edition in all of its various formats but also a gorgeous selection of Wizard of Oz Christmas decorations. My goal was to put together some wonderful gift ideas that could be given as a gift set and I believe I succeeded and yes, when I was finished, I dropped a hint or two. Given my choice, I'd choose the blu-ray movie and the Kurt Adler ruby slippers. Or maybe the Wicked Witch of the East's stocking. And I'd like it all 'wrapped' in the Wizard of Oz Ruby slippers silk tote bag. What about you?